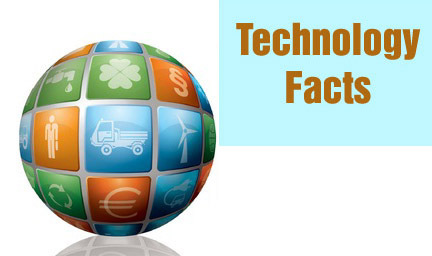 The most interesting technology facts. These are perfect for kids, the cool information will keep them interested as they learn important ideas & concepts. The first United States coast to coast air-plane flight occurred in 1911 and took 49 days. The Chinese were using aluminium to make things as early as 300 AD Western civilization didn’t rediscover aluminium until 1827. George Seldon received a patent in 1895 – for the auto-mobile. Four years later, George sold the rights for $200,000. ENIAC, the first electronic computer, appeared 50 years ago. The original ENIAC was about 80 feet long, weighed 30 tons, had 17,000 tubes. By comparison, a desktop computer today can store a million times more information than an ENIAC, and 50,000 times faster with weirdest keyboards. The first “modern” computer (i.e., general-purpose and program-controlled) was built in 1941 by Konrad Zuse. Since there was a war going on, he applied to the German government for funding to build his machines for military use, but was turned down because the Germans did not expect the war to last beyond Christmas. More than a billion transistors are manufactured… every second.